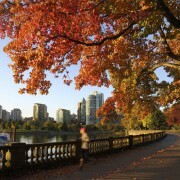 Coffee aficionados from across the globe flock to Vancouver for the city's award-winning cafés. From iconic local chains to indie new-comers, destination coffeehouses and their talented baristas are working hard to revolutionize the not-so humble cup of Joe. 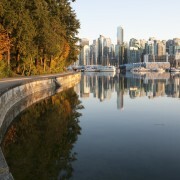 Ranked among the world’s top cities for java lovers, Vancouver’s thriving coffee culture dates back – surprisingly – to when Starbucks first opened on Robson Street in 1991, introducing Vancouverites to the concept of coffee as an experience – not just an early-morning caffeine fix. Fast-forward 10 years, and local chains JJ Bean and Caffe Artigiano were busy catering to the city’s sippers with customizable drinks in cozy, urban settings. And by 2012, the world’s top coffee consumers – Millennials – had ushered in a new cohort of third-wave coffee entrepreneurs. Inspired by the pioneering baristas of Portland and San Francisco, these earnest bean-brewers offer serious craftsmanship with a side of social responsibility in decidedly chic and spare spaces. No matter where you start your tour of the city's coffee scene, you’re likely within walking distance of a JJ Bean, Vancouver’s home-grown coffee chain founded in 1996, not long after Starbucks first came to town. Spearheaded by John Neate Jr. (or “JJ” as friends call him), the company dates back to 1945, when John’s grandfather started Neate’s Coffee Company. Today, nearly two dozen cafés populate the Lower Mainland and Toronto, serving specialty coffees, baked goods, lunch and breakfast items. If you feel like walking back in time, you can still visit JJ’s original store inside the Granville Island Public Market. A simple coffee bar, it lacks the seating of other locations but compensates with a sense of history – and John Neat Sr.’s trademark single origin coffees, of course. Heading downtown? Stop by this award-winning café founded by Vince Piccolo, who has served Vancouverites seriously good coffee since the early nineties. With elegant interiors echoing the grand cafés of Florence, Caffe Artigiano was among the first café chains to roast its own beans. When combined with fine homemade soups, sandwiches, salads and baked goods, Artigiano’s authentic, Old World experience has withstood the test of time; now 20+ years old, the company is beloved by Millennial coffee connoisseurs and seasoned sippers alike. 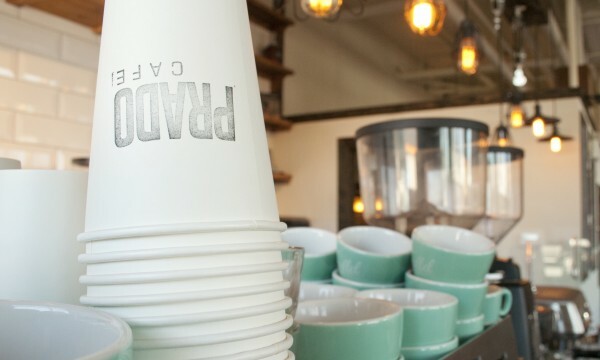 If you were taken with Artigiano’s charm, then you'll certainly swoon over Vince Piccolo’s latest endeavor, 49th Parallel Coffee Roasters, which he started in 2004 after selling his former company. Piccolo’s Mount Pleasant and Kitsilano coffee shops are bustling most days of the week owing to world-renowned beans, which are roasted in Vancouver and shipped to cafés around the globe. And the café experience? It’s all in the details: smart and responsive baristas know your name, signature blue paper cups match the china, the chairs, the bags of coffee beans, and the sky on a summer’s day. Oh, and the artisanal donuts supplied by Lucky’s aren’t too bad, either. 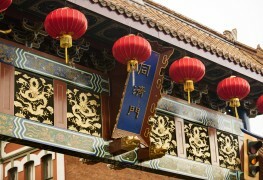 With a serene and cerebral reputation, Propaganda just so happens to be nestled on a bustling and delightfully noisy street, East Pender, in vibrant Chinatown. Inside, you’ll find an equally intriguing mix of bold and subtle: on the menu, espressos that pack a punch pair with simple croissants and shortbread, and fire engine red benches and oversized clocks pop against white walls and wood floors. Propaganda’s X-factor is its cold coffee: rarely can one choose between homemade nitro cold brew (cold-pressed espresso) and a nitro latte (with frothed milk) on tap. It’s a smooth, rejuvenating drink on a hot day. When in Vancouver's up-and-coming Fraserhood area, be sure to stop at this spacious, hipster-approved café, which made headlines when it opened for serving – wait for it – slices of toast! Matchstick employs a full-time bread baker at all three of its East Van locations, where fresh bread, toasted and topped with compotes or cured meats, hits the spot morning and afternoon, as do homemade croissants, berry-and-spelt scones, rye-and-raisin cookies and Earl Grey muffins. On the coffee front, stylish and hip baristas are at once effortless and professional. If you’re serious about how coffee is made and presented, then you’ll love observing the award-winning baristas at Revolver. These talented brewers are all business, executing the perfect cup – every single time (so don’t feel offended when they stop chatting as they grind). 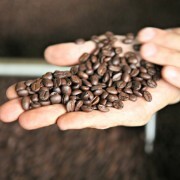 Beans hail from Copenhagen and San Francisco, Vancouver and Victoria, and pour-overs are prepared precisely and carefully, as they should be, and with the most advanced equipment available. In addition to such modern craftsmanship, Revolver broke the mold when it opened a tasting room next door, called Archive, where guests talk about their favourite drink and browse new brewing methods and resources as they sip. With four locations, Elysian Coffee is easily one of Vancouver’s most buzz-worthy coffee companies, and should not be missed on your tour of the city’s finest. The location at Ontario Street and East 8th Avenue offers fish-bowl windows that make for excellent people watching in Vancouver’s budding garment district, and sparse interiors and intimate seating give way to fruitful conversations. Beans are all roasted in house, and with a trademark chocolatey, aromatic flavour that will keep you coming back for more – as will the baked goods, prepared by talented local pastry chefs. The friendly and warm baristas at Prado Café might make you laugh as they prepare your order – but that doesn’t mean your coffee won’t delicious. Pairing serious coffee culture with a sense of humour, this cozy Commercial Drive café – which opened two additional locations in 2014 – is known for its down-home persona as much as its skillfully prepared 49th Parallel coffee; you won’t find coffee snobs here, but you will find good coffee.